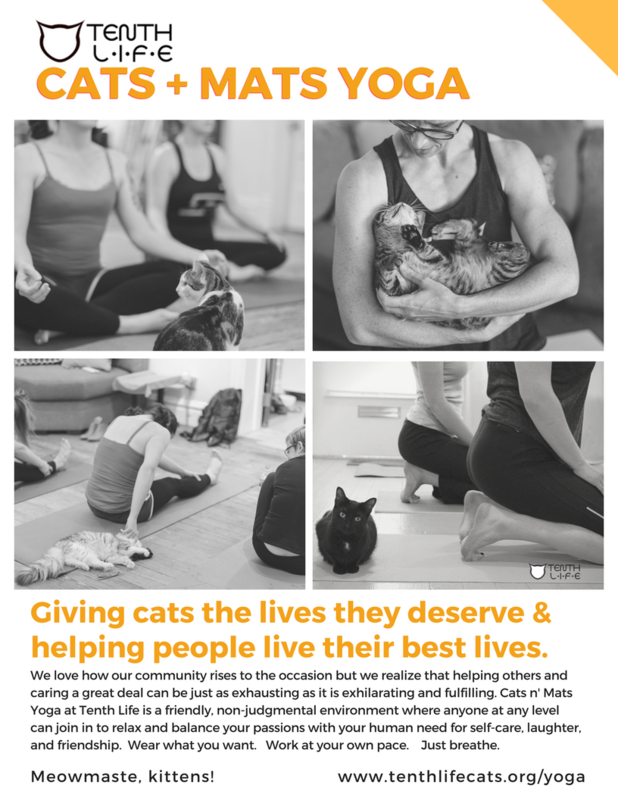 JOIN US FOR YOGA WITH THE CATS OF TENTH LIFE CAT RESCUE! 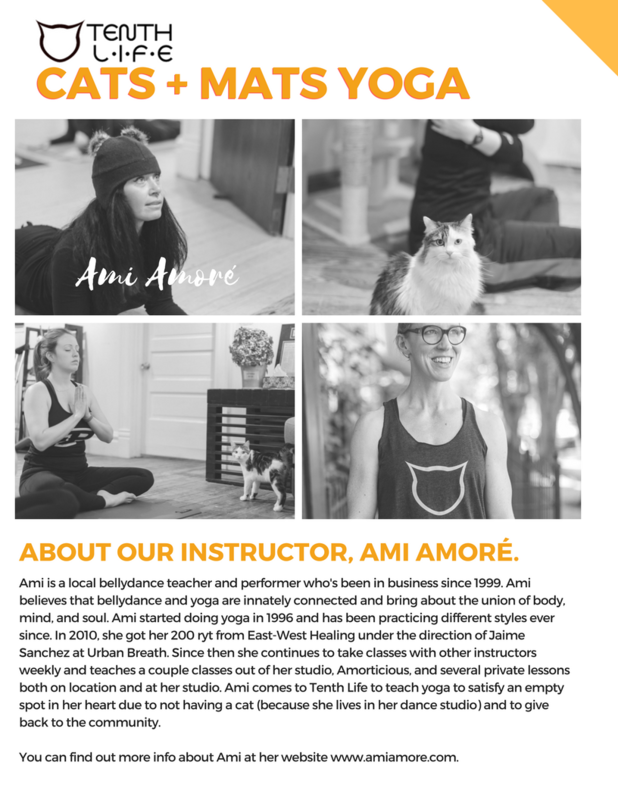 CATS + MATS YOGA led by Ami Amoré is an open-level, fully inclusive, non-judgmental class held once a month at Tenth Life's storefront located at 3202 Cherokee Street in Saint Louis, Missouri. Join us! Wear what you want. Work at your own pace. Just breathe. You can explore the links to to the left or click the images below to learn more about the class and our instructor, Ami Amoré. For the direct link to tickets online, click the "Sign Up" button above or visit http://tenthlifecats.eventbrite.com anytime. 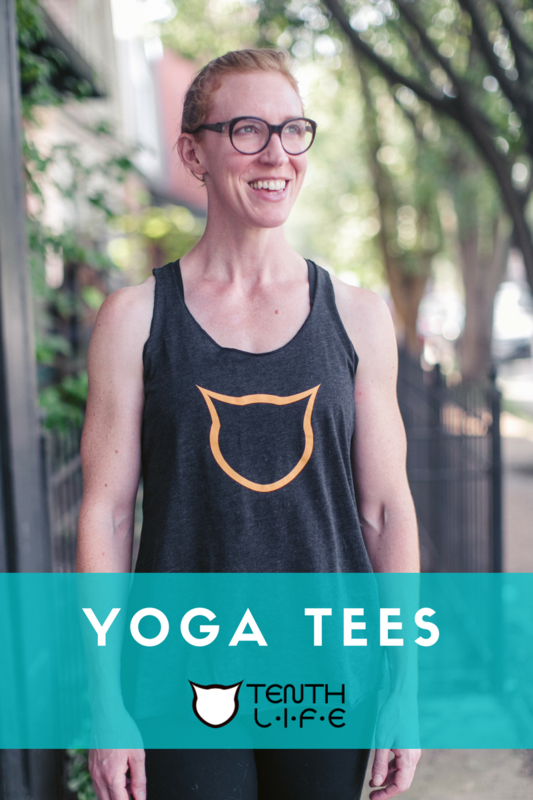 Grab a yoga tee anytime. They're just $20 each and all proceeds go toward our mission of giving cats the lives they deserve. You can also find this and other events listed on our Facebook events page, our main events calendar on this website, and on our other social media channels. Many thanks to Katie Long for volunteering her photography talents. Thank you for your support! Want a PDF of our flyer to share at work, church, craft night, karaoke, or your favorite gym? Wherever you hang, you can hang one of these flyers! Request one by emailing events@tenthlifecats.org anytime. Thank you!